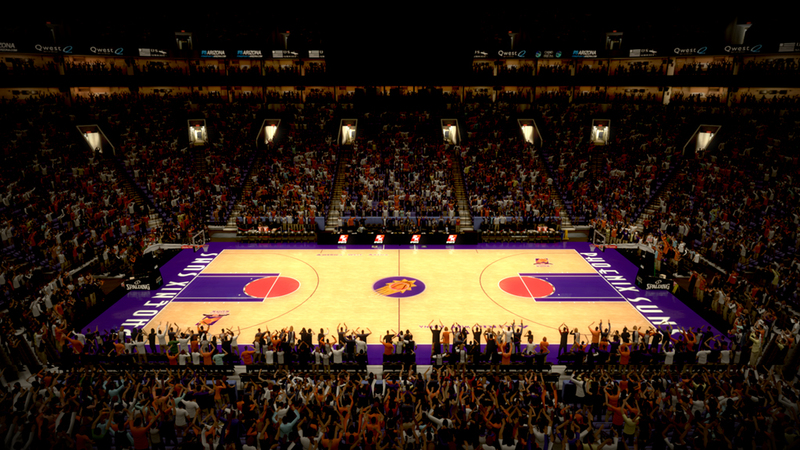 This adds the 1992-1993 America West Arena Anniversary in Phoenix for the Suns to NBA 2K12 and NBA 2K13. KNOWN FLAWS: There are some flaws in the key circle areas that can't get correct currently. The preview really doesn't show them but they are there, if you look hard enough. In the gameplay they will show, so I will continue to make corrections and work on them. Please be patient. Thank You!